So this book wasn’t terrible, but let’s just say it wasn’t for me. The characters felt very one dimensional. I didn’t connect or care for any of them really. Her so-called family on her father’s side were very unlikeable. Her father was cold and distant, Don’t even get me started on her grandmother! “My mother’s father was part Native American and African American,” I explained. “Mother!” Kim and Kenji both cried at Mrs. Takahara, who ignored them. Ya’ll I get that they were supposed to be rich and in another country, but that doesn’t excuse this. I really had problems with her family. There was something that I did like about it. 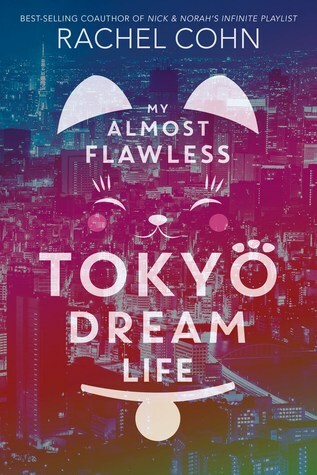 I loved the description of Tokyo. I was so enamored with the world and the author’s descriptions. You can also tell the author done her homework on Japanese culture. All in all, it was okay. Just not for me and not very memorable. If anything, read it for the look into Japanese culture. **I received an arc via NetGalley for an honest review. Previous Post Top 5 Tuesday // Books I almost DNF’d, but now I’m in love with! Yikes! I think I will skip this one solely on that dialog. I would skip out on it. The only thing I liked was the look into Japanese culture. .
Damned! I get what you mean here but it is still sad that it was not better Kayla! I hope younger readers don’t take offense when they read this.